A missing two-year-old girl, an unidentified drowning victim, arson, and the threat of murder bring Homicide Squad Inspector Hal Challis of the Mornington Peninsula Police Force and his staff to Bushrangers Bay, an Australian seaside resort outside Melbourne. Allis not idyllic in this resort community—far from it. Cars are stolen and torched; letter boxes are burned; and the Kittyhawk airplane of an attractive aerial photographer suffers malicious damage. Garry Disher has published over fifty books in a range of genres, including crime, children’s books, and Australian history. His Hal Challis and Wyatt crime series are published by Soho Crime. He lives on the Mornington Peninsula, southeast of Melbourne. 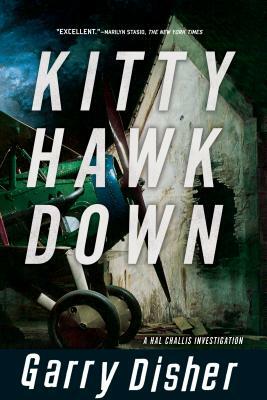 "This series boasts careful, realistic casework, but there’s enough darkness and ambiguity to suit John Harvey fans and a kind of which-way-is-up sense of the police force that recalls early James Ellroy. Moody, inventive, and extremely hard to put down."